40 meters from the hotel there are 2 big nature pools for swimmers and one pool for children. They are embraced by birch greenwood. For hotel guests is the entrance to these pools free of charge. Near the hotel are excellent conditions for ski running (skiing on tracks). 18 km from the hotel is ski centre in Parihuzovce - there are 2 ski lifts. 25 km from the hotel is ski centre in Chlmec ski park. There is the pond - 50 m from the hotel. Fishing licence can be bought at the reception desk. This pond also offers the possibility of small boats- and water bicycles rides. There are many tourist routes. You can find here a unique forests with primeval structure in national area Stužica, Jarabá Skala, Pľaša, Rožok and Havešová, with high level of well-preserved original primeval ecosystem. 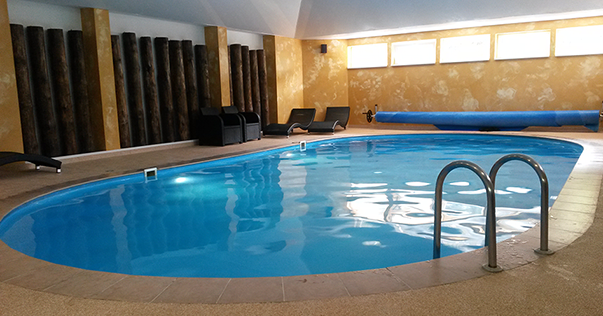 The hotel is situated in surroundings that is very suitable for the sportsmen preparation. Hotel equipment also enable sufficient relax for the sportsmen.